Tien Sa Sapa Waterfall is located in Cat Cat - one of the most popular tourist in Sapa. Come to visit Cat Cat village and explore the beauty of Tien Sa Sapa is one of the most exciting journey in the trip to Sapa town. Tien Sa is one of the most popular tourist sites in Sapa. Tien Sa is also known by many local people as Cat Cat Waterfall, because the waterfall is located in Cat Cat tourist area - one of the most beautiful tourist sites in Sapa . Many visitors come to Cat Cat to see the poetic beauty of Tien Sa waterfall. The beauty of Tien Sa waterfall is made up of Hoang Lien Son and Suoi Tien ranges. Water flows from the Hoang Lien Son range down to create beautiful Tien Sa waterfall, the water will continue to flow along the stream to the Red River. Probably because of the appearance of Tien Sa waterfall, nature around the waterfall has a lot of green trees, creating a beautiful natural environment, romantic human heart. 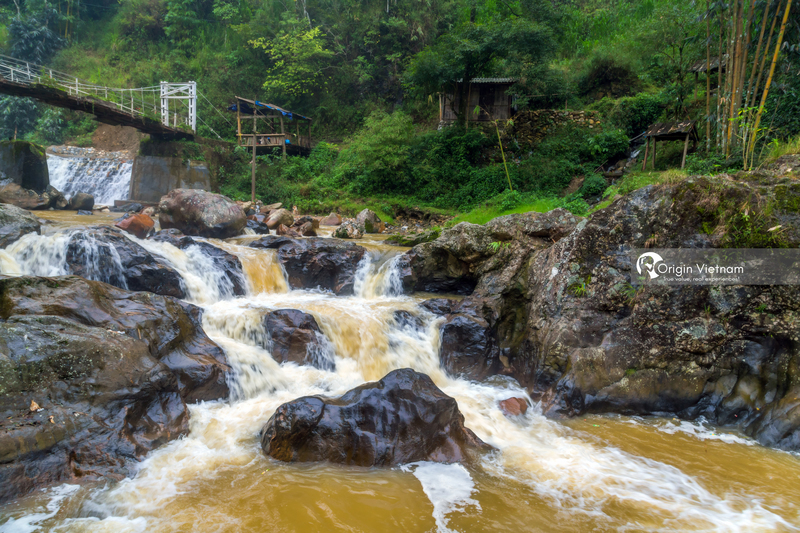 In the midst of green mountains, each stream of water flows gently from the Tien Sa waterfall to create white bubbles, emitting a fascinating sound. Standing below the Tien Sa waterfall, visitors can feel the beauty of the mountains and forests of the North. Many visitors to Tien Sa waterfall asked the question: "Have you ever had a shower in the waterfall? Because the name is Tien Sa?" The exact answer to this question is unknown. There are many legendary stories about the first to bathe in the Tien Sa waterfall. Legend has it that Tien Sa was formerly the residence of the forerunner, another story says that Tien Sa Falls had a fairytale sun bathed here ... Each story has its own meaning but In general, they all praise the great beauty of Tien Sa waterfall. Have visitors compare the beauty of Tien Sa waterfall with Cam Ly waterfall in Da Lat. It is true that the two cascades are beautifully flowing, surrounded by beautiful natural scenery, with a strong attraction to tourists. In recent years there are many tourists taking Sapa tour to Cat Cat and Tien Sa waterfall for sightseeing and photography. Because Tien Sa is new to tourists, it still has the wild nature of the place. Not only to view the beautiful waterfalls but many tourists are curious to find out the real damage of Tien Sa legendary anymore. The road to Tien Sa waterfall is also very beautiful, along the road covered with cool green trees. 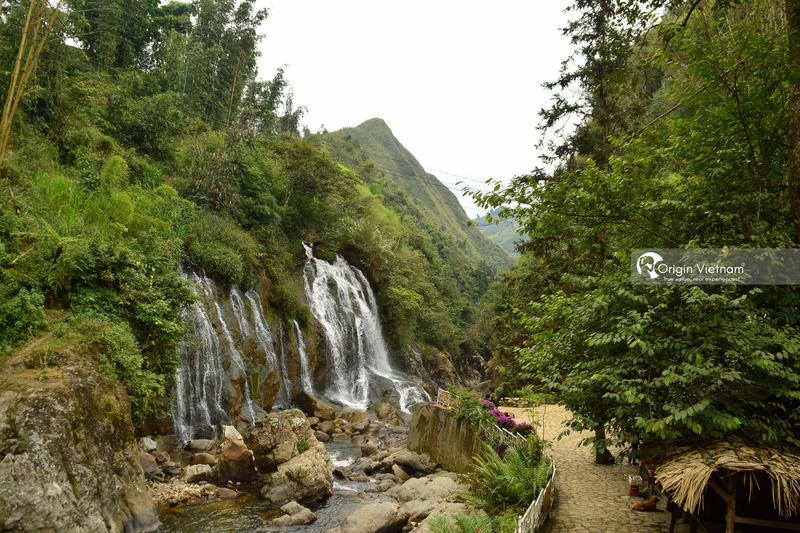 If tourists are interested in taking pictures, the scenery along the road leading to the waterfall will be the background for the great photos of the Sapa trip. You should book tour Sapa 2 days can choose to combine the Cat Cat tour and visit Tien Sa waterfall. During the trip, tourists will have a beautiful view of Tien Sa waterfall and newly visit Cat Cat tourism. 6h30: Transfer from Sapa town to Cat Cat village. Guests can choose to go hiking, renting a motorbike or bicycle. Most visitors choose to walk to Cat Cat village to easily see the scenery along the way. 7h: Visiting Cat Cat village. Cat Cat village is one of the tour still retain many traditional handicraft and brocade. Visitors can also see the terraced fields, the corn fields, the sweet potato ... of the Mong people are living in the village. 13h30: Siscover Tien Sa waterfall. Tien Sa waterfall is close to Cat Cat village, so visitors only need to take a few minutes to reach the foot of the waterfall. The scenic Tien Sa waterfall is a dream for many visitors to choose the background for the vivid pictures of Sapa travel. 4h: Back to Sapa town. The beauty of Tien Sa is extremely attractive right? Explore the beauty of Tien Sa Sapa is one of the great trip should not be missed when traveling to Sapa. A lot of great things are waiting for visitors at Cat Cat and Tien Sa. 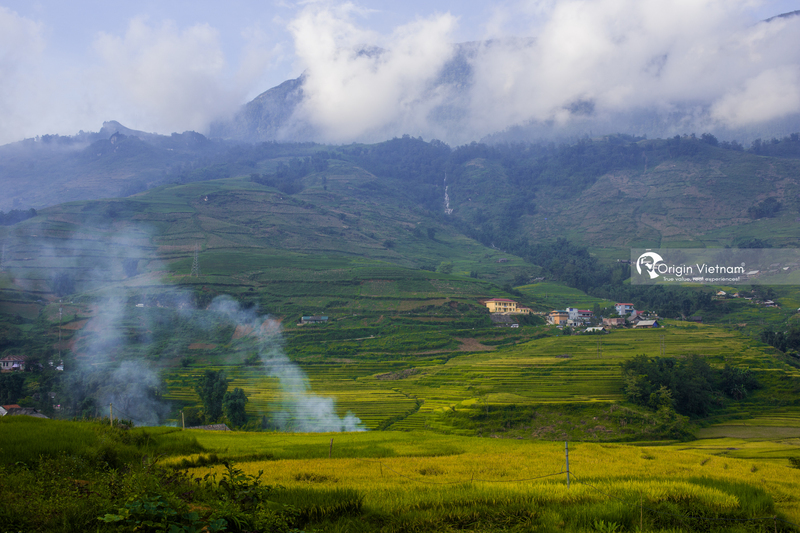 Have a great trip to Sapa with the sharing of Origin Vietnam Travel.